When the spreadsheet first hit our flickering orange computer screen, it single-handedly changed the way we did business, saving us lots of time, lots of money and lots of headaches. Accountants were keen to show us their mastering of “@” commands and “pivot tables” like my spreadsheet is more sophisticated than yours. 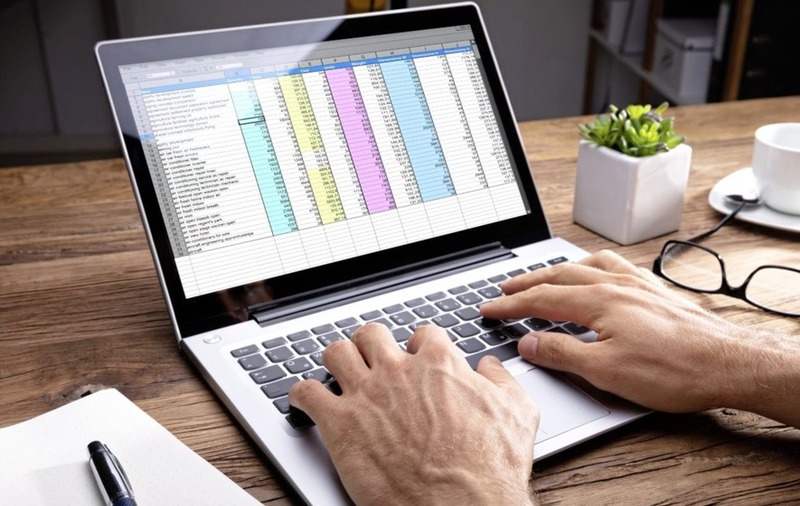 With “cells” having hidden links and totals effecting other spreadsheets, it’s no wonder these minefields consisting of multiple rows, columns and totals encouraged errors that common sense often uncovered. Sure, there’s nothing nicer than an old friend. But while you’ve still got that familiar icon on your screen, spreadsheets are no longer the must-have tool to steer the ship, or the crutch that accountants often had, as a final check or last resort. That said, some old habits are just hard to shake. Like that old pair of slippers, you might be very comfortable working in the familiar surroundings of spreadsheets, but relying solely on their functionality could be hampering your business growth. If you had to compare the spreadsheet to towers of lined sheets of paper, ring binders and a calculator, then the spreadsheet wins every time. But the great thing about technology is that it keeps on developing and spreadsheets are no longer the ‘big league’ of business software solutions. In the past, for many SMEs the move to a sophisticated business management solution was a scary prospect. But today there are a range of affordable, user-friendly solutions for companies of all sizes. So spreadsheets are no longer a beneficial way to run your small or medium sized business. As I said before, using ever changing and self-developing spreadsheets is by nature, a risky business. One wrong decimal point or a cut-and-paste mistake can go unnoticed for a long time, until it eventually causes havoc to your formulas and runs rampant through your entire spreadsheet or indeed linked spreadsheets. At Eastman Kodak Co in 2005, too many zeros in a severance accrual resulted in an $11 million overstatement, and in 2003, TransAlta lost $24 million due to a copy-and-paste error. To find the offending culprit (the error) can be like looking for a needle in a haystack and could (if even eventually found) take days to rectify. This can demotivate staff and spread distrust in the accuracy of the key financial figures. It can also rob key staff of valuable time, when time (meaning money) could be better spent on other important tasks. Using a proper accounting financial solution with traceability will also help avoid these issues developing. With market analysis becoming increasingly important, it’s vital that companies are equipped with the right business analytics software to make informed business decisions. It’s still surprising to many business owners and directors of our own SME’s, that the major financial software providers that cater for this business space, have a good level of analytics incorporated as standard. It follows on, that if your accounts solution is missing this key aspect of financial management, and you are still relying on spreadsheets for analysis, it’s time to look at changing it! With market analysis becoming increasingly important, it’s vital that our companies and organisations are equipped with the right business analytics software to make good informed business decisions, at any time, not just at weekly or monthly management meetings. Spreadsheets aren’t going to disappear overnight, but they’re no longer the must-have tool for a company accountant to manage a progressive and growing business. With alternatives available today from the leading software venders, businesses still clinging to the all too familiar spreadsheet need to jump ship, if they want to dive into (and stay afloat in) the digital age. :: Trevor Bingham (editorial@itfuel.com) is business relationship manager at ItFuel in Craigavon. Follow them on Twitter @itfuel.